preventing chemicals from leaching into nearby water sources and ultimately entering the body. Learn more. 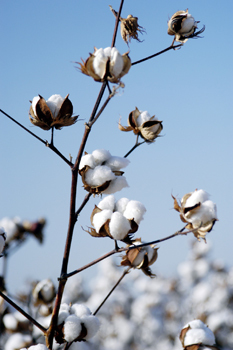 Here is some basic information about cotton manufacturing. For good information about organic clothing please visit Trusted Clothes. Coyuchi uses only certified organic cotton in their bedding and has received the United Nations Second Annual Fashion Industry Award for Environmental Excellence. Coyuchi’s cotton seeds are never genetically engineered. They control insects in their cotton fields by encouraging good bugs to eat bad bugs. Chemical fertilizers, herbicides or other pesticides are never used, and Coyuchi’s fields are weeded by hand. Coyuchi is firmly committed to fair-trade practices. Inspired by nature, Coyuchi designs bed linens with a simple style that is enriched by subtle textures, rich colors and refined details. The result is a sophisticated, relaxed and beautifully appointed bedroom. They take expert care to ensure that everything that bears the Coyuchi label is produced and processed to the strictest environmental standards in safe and humane conditions, from the farm to the factory to the store and to your home. 100% organic cotton, inside and out, Coyuchi’s mattress pad sets the perfect foundation for your organic bed. Finished with two-inch quilted squares and a 220 percale covering. A deep 15 inch pocket with full elastic around the bottom for an easy fit on plush mattresses while protecting the mattress sides too. Free of chemical finishes and flame retardants, GOTS certified. 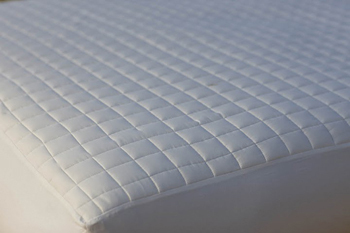 A mattress pad will extend the life of your mattress by helping to fend off spills, stains, sweat and skin oils. Coyuchi recommends washing your mattress pad monthly. Machine wash cool and dry at low-temperature. Organic cotton flannel makes a perfect foundation for your organic bed. Thick, absorbent flannel, protects the mattress without a lot of extra layers and batting. Designed to be the most natural cover with minimal processing and treatment, this mattress pad is natural in color because it is un-dyed, perfect for even our most sensitive customers. 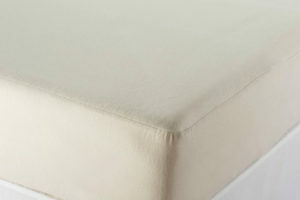 It has a unique construction of organic flannel on top and sides, with elastic on all sides for a secure fit on the mattress. Machine wash cool and machine dry at low temperature. Made from organic cotton, this sateen, mid-weight comforter is cozy, warm and breathable. Choose from three classic colors. Double box stitching adds subtle detail and keeps the organic cotton fill evenly distributed so there are no cold spots or clumping. All-organic-cotton construction makes it easy to care for, too. Organic cotton blankets do a lot more than keep you warm. They provide comfort, making you feel safe, relaxed, pampered. 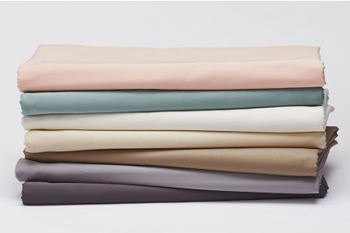 The most versatile piece of bedding available, organic cotton blankets can be layered above your sheets, folded at the end of the bed, thrown over the arm of the couch or wrapped around your shoulders. There are many types of blankets to choose from, including quilts, comforters, coverlets, and throws. Which one you need depends on what you want from a blanket. Do you need lightweight loft or heavyweight heft? Do you want your blanket to match your favorite sheets or add a pop of color to white or neutral sheets? Do you prefer a blanket with lush drape or is soft, simple warmth your main priority? Do you want a blanket that fits your bed exactly or would a larger size fit your needs better? If you like textured blankets, you have many options. From Jacquard loomed blankets with deep texture, thicker matelassé blankets to the soft nap of chenille blankets all offer warm style that feels as great as it looks. Temperature is also an important consideration when choosing the right blanket . We’ve selected the best natural fibers to accommodate a variety of personal preferences and seasons. Alpaca, wool and linen are natural insulators, so they keep you warm when it’s cold and cool when it’s hot. A wool and cotton blanket delivers the same benefits, and provides an extra layer of comfort. If you have sensitive skin, an organic cotton blanket or organic cotton comforter will likely make you the happiest. You’ll know you found the perfect blanket, if your bed looks warm, inviting and hard to resist every time you pass your room. We have hundreds of fabric swatches in our store from Cotton Belle. 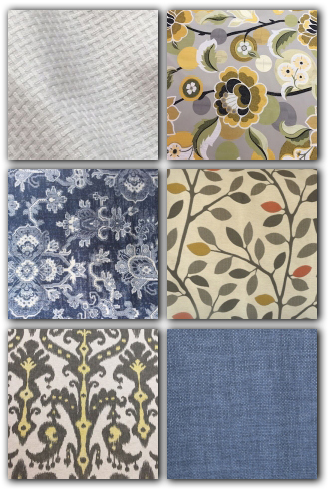 Come in and see and touch the sample fabric for your futon cover or other project. Follow the link to visit Cotton Belle and see all the available fabrics and patterns. They have cotton, hemp, blends and more. See the chart below for pricing. Because they are woven, and not terry-cloth, these Air Weight bath towels are absorbent, soft and fast drying. They will get you plenty dry, but will also dry fast when hanging on the rod or put in the drier. 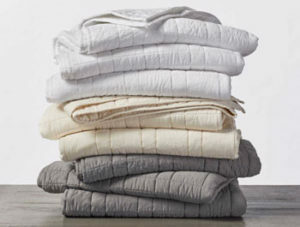 Coyuchi organic bath linens are made with the same quality, care and fine detail as their organic bedding. Their Air Weight towels are loomed from pure organic cotton, in colors drawn from earth, water and sky. Soft and thirsty, they’re designed to dry quickly on the towel bar and in the dryer. Twill woven for softness and drape, these medium-weight towels wash easily and dry quickly. A rolled self-hem helps them hold their shape wash after wash. The cotton is 100% organic, and sourced and woven in India. 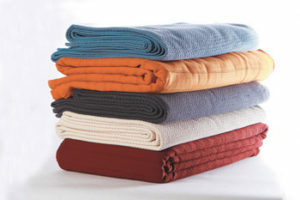 Air Weight towels come in four different sizes, bath, guest, hand and wash cloth.